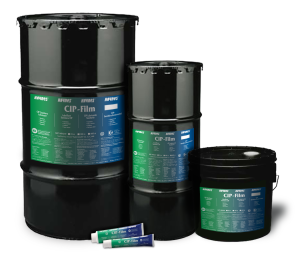 Haynes® CIP-Film is specifically formulated for Clean-In-Place Systems. This lubricant has a low melting point of 120°F. Haynes CIP-Film is an excellent assembly grease for pumps and valves. The grease stays on the during assembly and washes off completely during cleaning cycles. Haynes® CIP-Film is NSF rated H1, Kosher Certified, Halal Certified, and made from ingredients that are FDA approved. The lubricant is completely odorless, tasteless, and non-toxic.